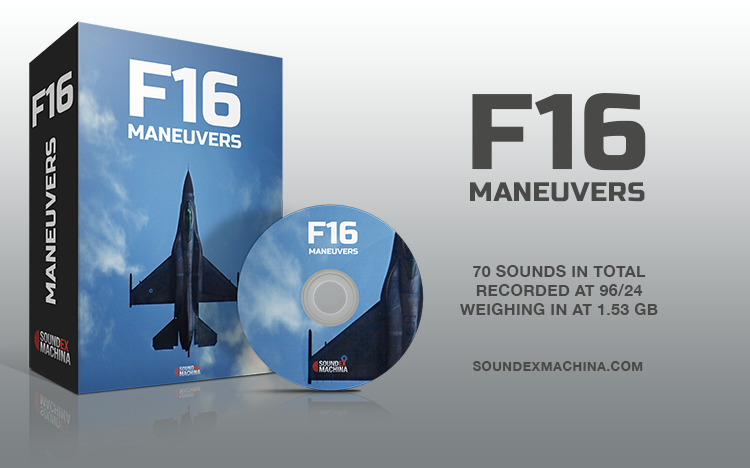 This past week has been an exciting week for us, because of the release of F16 MANEUVERS – a sound effects library which contains single jet high-speed passes and maneuvers, captured with traditional mics and contact microphones, as well as formation flights, designed with Sound Particles 3D software. 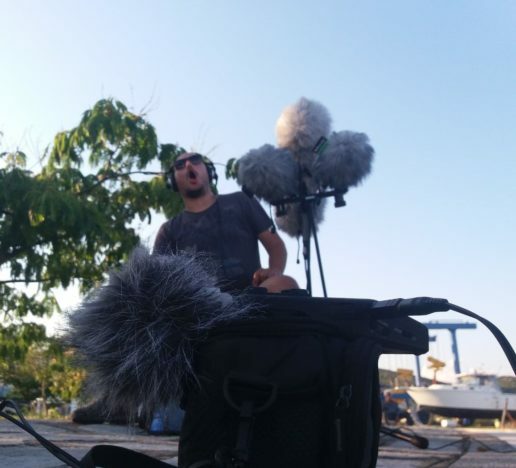 In this behind-the-sounds post, we’re shedding some light on where we found this powerful machine, with what gear we recorded it, what drove us to record aircraft sounds with traditional and contact microphones and what you can do with those takes in terms of sound design. Let’s talk about all that! 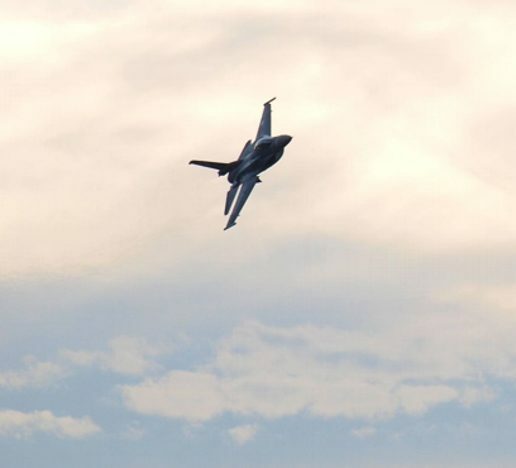 Past summer we got a chance to record Fighter Jet sound effects during an international airshow, held near our hometown. 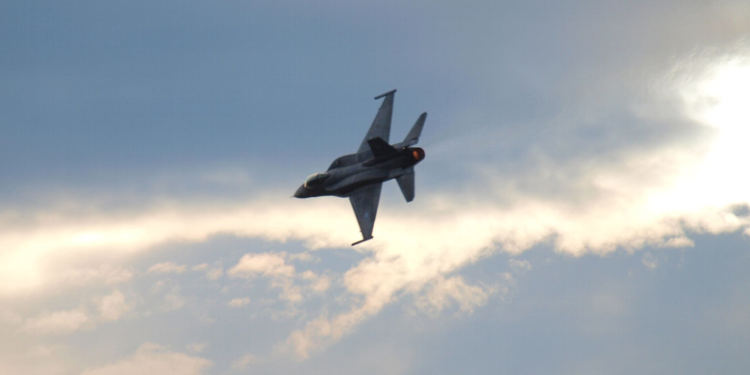 The event included formation flights demonstrated by six Aero L-39 jets and Fl 100 RG aircrafts, APACHE and HUEY Helicopters, some smaller single-propeller planes, the most famous among which was a United States Air Force F16 Falcon Fighter! 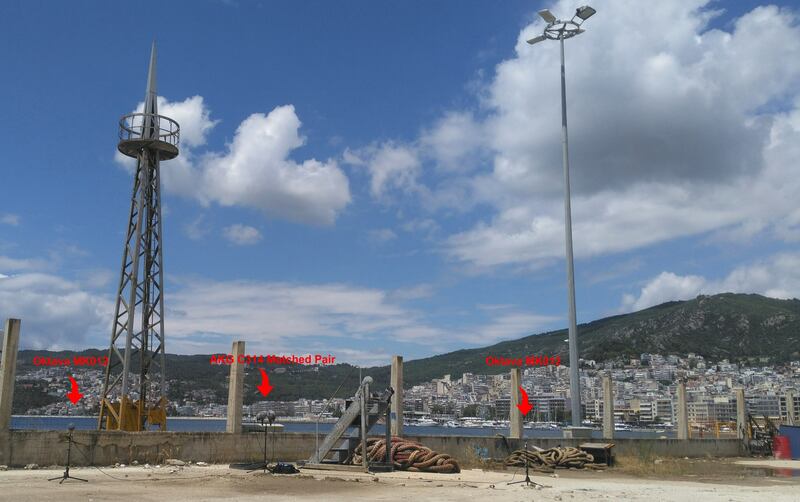 The event lasted three consecutive days, each one on a different location. 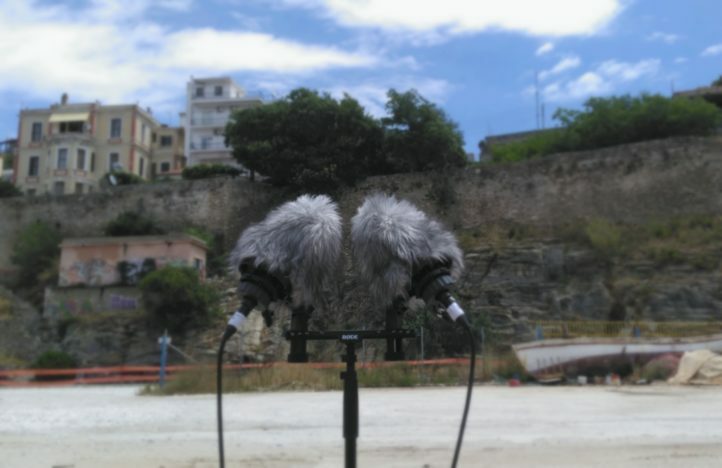 Therefore we had the opportunity to test-use different mic-setups and techniques, depending on location and weather conditions. 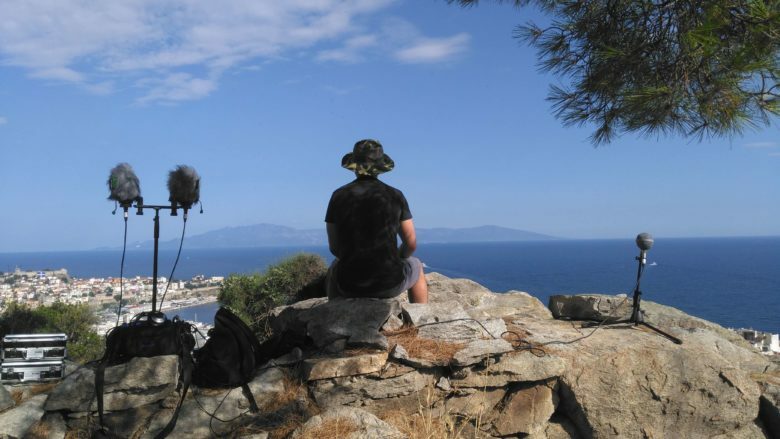 So, we packed all our microphones, portable recorders and accessories – a pair of AKG C314 and Oktavas MK012, two Oktava Figure 8 capsules, a Shure SM57 dynamic mic, the Sennheiser MKH8060 short shotgun, our Baby Ball Gags with their windscreens, the Rode Blimp with a Dead Wombat Windshield and both the Zoom F8 and H6 recorders. By that time, the least “valuable” piece of equipment, we thought, had proven to be the contact microphone. After all, our aim was to capture the ambience around the aircraft maneuvers, as we knew we wouldn’t be granted any access to any of the aircrafts due to high security. The first out of three shows we almost missed (! ), due to a last minute relocation that was ordered for safety reasons, but other than that, it was an overall wonderful experience. The sounds created by those powerful machines were something quite extraordinary and our ears would be ringing long after the show was over! We really felt like the skies were being ripped apart as these beasts flew over our microphones (sometimes at a very close proximity), and the earth shook as if by an earthquake at the sound of their turbines. The most impressive part, however, was the variety of sounds coming from up above, different every time with every dive and every maneuver… No words could do it justice … It was a truly exceptional experience! Holy cow, it looks like he’s going to hit us! Aerobatics, right over our head! 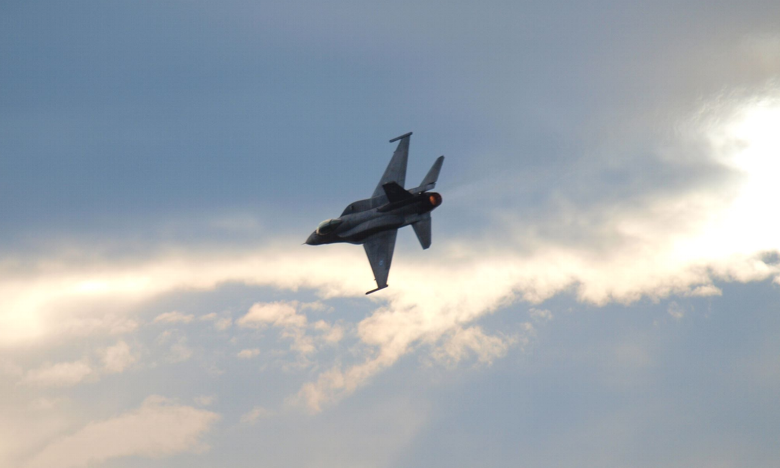 It was in that moment, after witnessing those impressive low flights that we came up with the idea of attaching a contact mic to a stationary object, to capture all the low- tone vibrations created by the carefully choreographed routines of the F16. 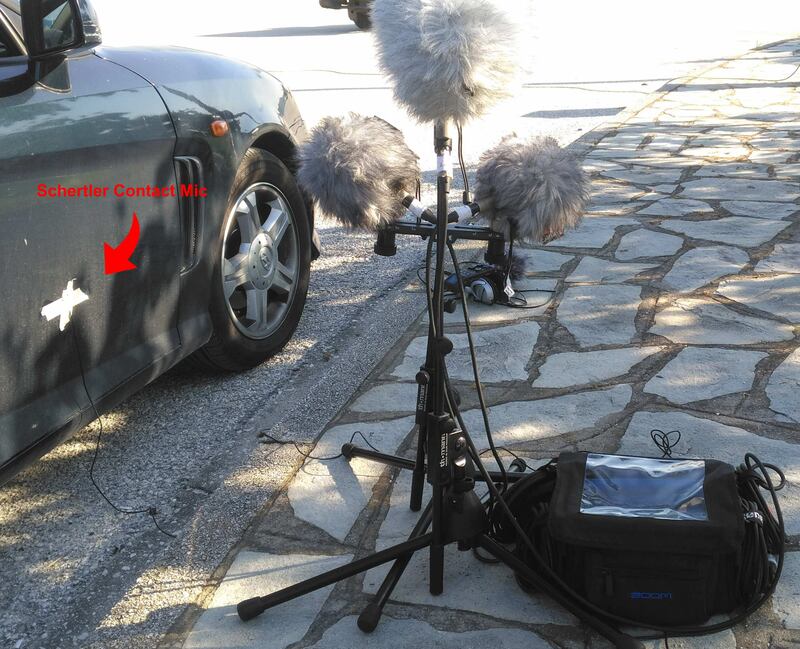 Contact Mics – A Great Sound Design Tool… After All! 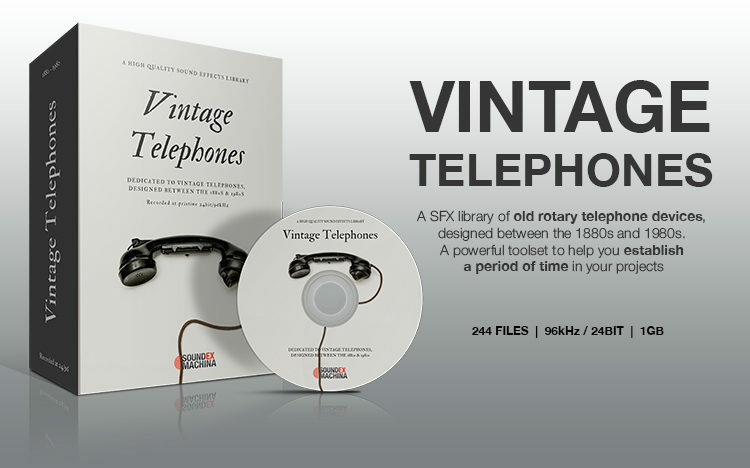 Or you can use them as a source material to design some newly, complex ones. We will be better prepared next time! We may even throw our newly purchased H2a hydrophone mic into the sea or in a water bucket and see what happens! We hope the above examples inspire you to go have fun with contact microphones. Attach them to your car while revving the engine, to a container filled with debris, to a window, take them outdoors just to record city traffic or rainfall, place them on various machinery (just like we did on Analog Days or Vintage Telephones libraries) to record the detail of the inner mechanisms or simply bring them with you to a basketball game to record balls bouncing, footsteps and thumping. 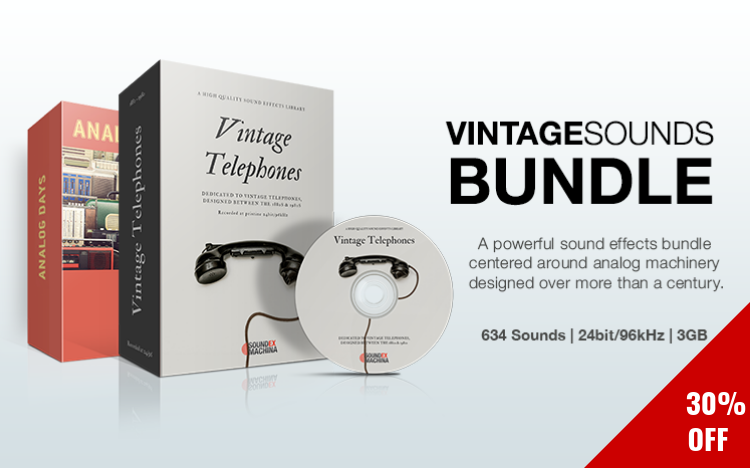 A great selection of UI sounds with a human touch – and they’re distinctly non-digital. Rain City aims to cover the interaction between rain and the objects around the city, and does so very effectively. The recordings feel intimate, and have a texture often missing with weather sounds. Sound Ex Machina took a different approach with their latest release UI Sounds: Organic. The interface sounds designed specifically to be “catchy and jolly”, from novel sources such as car keys, coffee mixers, toys, vocals, and much more.